Preston North End have agreed a compensation deal with League One rivals Stevenage to allow Graham Westley to become their new manager. Westley's coaching staff of John Dreyer and Dino Maamria are set to join him at the Lancashire club. The 43-year-old has won back-to-back promotions at Boro. He will replace Phil Brown at Deepdale, after less than a year in the job, following a 0-0 draw against Westley's Stevenage. A Preston statement said: "Preston North End FC can confirm they have come to an agreement with Stevenage FC on a compensation package for manager Graham Westley and his assistants John Dreyer and Dino Maamria. "Preston will now aim to conclude discussions with the management trio later on today (Friday). An announcement will be made once a conclusion is reached." Stevenage chairman Phil Wallace said: "I would like to thank Graham for all he has done for the football club. "In the time that he has been with the club, we have developed into a successful Football League outfit with two successive promotions and exciting cup triumphs under his management." Skipper Mark Roberts will be in charge of Boro for Saturday's game at Rochdale, with the search for a new manager now underway. 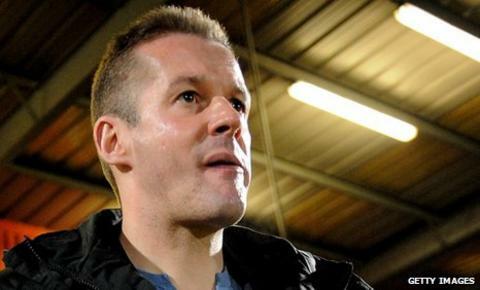 Westley, a former Farnborough Town and Rushden boss, returned to Stevenage for a second spell as manager in 2008. Since then, he has steered the Hertfordshire club to two FA Trophy finals, winning one of them, and up two divisions from the Conference to League One. He secured Boro's place in the third tier with a play-off final victory over Torquay in May and has gone on to take them to the brink of the League One play-off places, three points shy of the top six. Stevenage have lost just one of their last 13 league games in a run that includes wins over League One's current top two, Charlton Athletic and Sheffield United, and a 6-1 thrashing of Colchester. Westley will join a Preston side who have won just two of their last 20 outings in all competitions, in which time they have slumped from second to 14th in the table in under four months. He has become renowned for his training demands, which include making players work longer hours during the week, and has strongly defended Stevenage's ruthlessly efficient style of play.